Planning a trip to the Côte d’Azur? 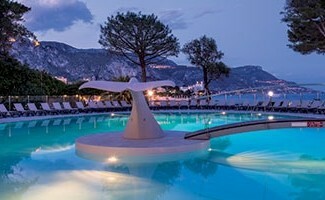 Take a gourmet break for two or with friends in Cap Ferrat. 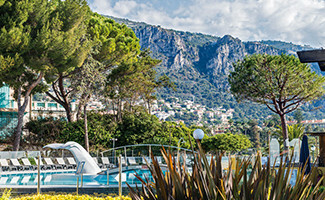 Book the perfect trip in our hotel where the sun drenched regions beaches overlooking majestic Belle Époque villas. 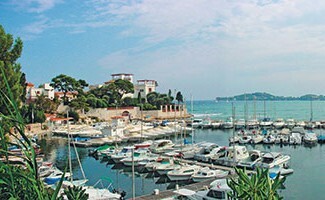 Make an incredible holiday in a Southeast of France and a tasteful dinner on the French Riviera. 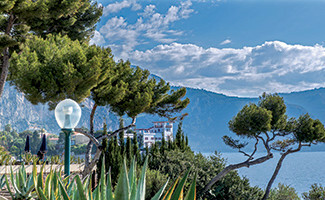 Saint-Jean-Cap-Ferrat is one of the most prestigious resorts on the Côte d’ Azur coast. 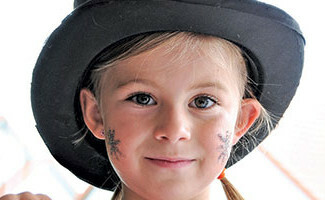 Enjoy the charms of this region and its beauties, hidden decors, its heritage. Cote d’Azur is also renowned for its delicious cuisine and local artisan food products. Learn about its traditional gastronomy with olive oil and aromatic herbs. Taste the king of the Provence recipes “the bar” prepared grilled or stuffed with fennel bulbs. Enjoy anchovy-stuffed doughnuts or the “bourride”, a fish dish. You can’t miss “la pissaladière” a specialty of Nice. Discover the “estocaficada”, sun-dried cod with roasted potatoes to share with your family. For those who prefer the gastronomy of the land, let yourself be tempted by ”Courgettes Niçoises”, pieces of marinated beef or stewed beef. Taste the delicious stuffed vegetables or enjoy the famous “fougasse” flavored with orange blossom. For the summer season, let yourself be seduced by a fresh dish known as “salad niçoise” concocted with raw vegetables. French meals are accompanied by a quality wine and also a refreshing aperitif “le pastis” to share with friends in a festive atmosphere. Share local flavors in a friendly atmosphere in our restaurant “Les 2 Caps” facing the sea. 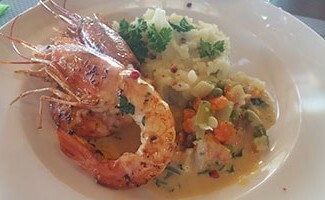 Come and discover a southern cuisine with local products in a unique and green setting. In summer, come and sit in our terrace open to the “Baie des Fourmies”. Our hotel is known for its laid back atmosphere and delicious dishes served in buffet. After a delicious meal in our restaurant concocted by our chef Jean Fernand, come and relax in your room completely renovated. 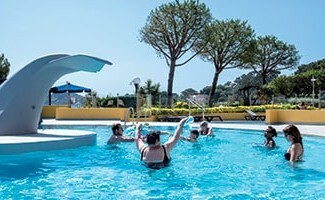 Laissez-vous séduire par une escapade bien-être dans notre charmant hôtel au milieu d’une nature luxuriante face la mythique baie de Côte d’Azur. Massages relaxants et séances de yoga vous y attendent pour un séjour au calme. Laissez-vous tenter par les spécialités de la Côte d’Azur pour un séjour ensoleillé dans notre hôtel en bord de mer face à la Baie des Fourmis. Des plats colorées et savoureux qui sentent bon le soleil du Sud à partager en famille.